There are often times that you’ll need to be able to locate your Google Analytics Property ID. From installing WordPress plugins, to setting up tracking in various marketing automation software, you may be asked for your ID. It’s not always easy to recall where the Property ID is in Google Analytics, so this guide was created to help quickly locate the Property ID. 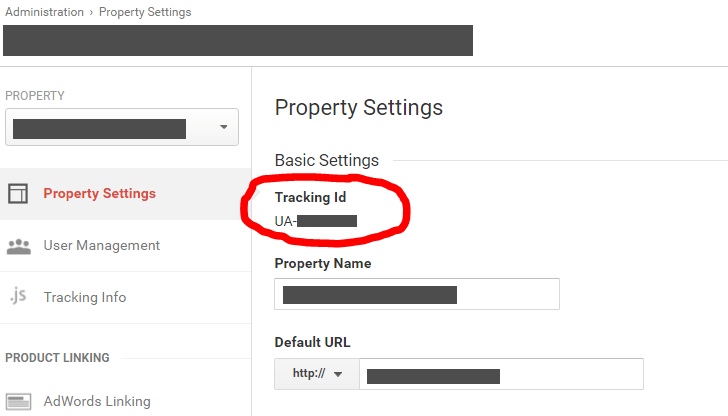 There are a number of ways to find your Google Analytics Property Tracking ID. We’ll start with the easiest and most straightforward method first, and progress into more complicated and complex methods. With these methods, you’ll almost certainly be able to detect and locate your Property Tracking ID in Google Analytics. This should be self-evident, but regardless, be sure you are in the Analytics account. Sometimes, you won’t have access to Google Analytics via the admin but still need to get the Google Analytics Property ID. Another method is to view the code of the site that is known to have your Google Analytics code installed. You’ll want to search the code (CTRL+F) for the value “UA-“. Ideally, there will only be one match for “UA-“, but you should be able to locate the Google Analytics script to similar code below. In the following examples, the “UA-XXXXXX-X” value is your Google Analytics Property ID. Once again, the “UA-XXXXXX-X” value is your Google Analytics Property ID. Hopefully this tutorial has helped you locate your Property ID. If you still need help locating the Property ID of your Google Analytics account, leave a comment reply below.